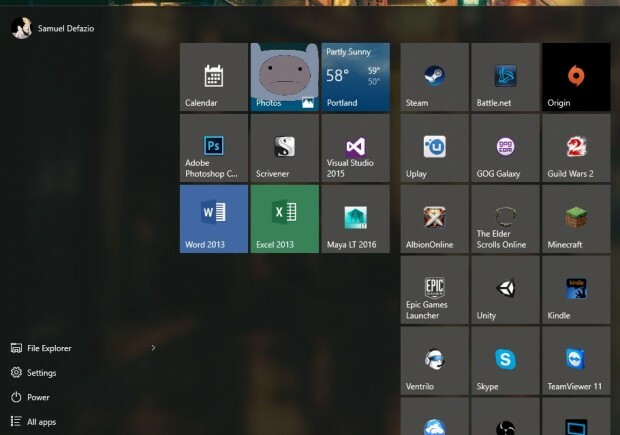 One of the more prominent features in Windows 10 is the return of the Start Menu. The functionality that was completely missing from Windows 8 (unless you added it yourself through a third party start menu app). The free apps were lacking in several aspects, and thankfully, the Windows 10 Start Menu makes up for that nightmarish era. 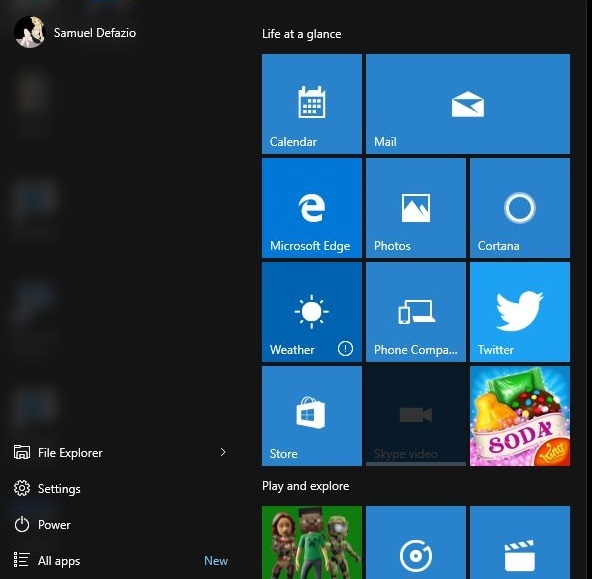 Not only is the start menu back, but it is highly customizable, something that has been strongly desired in the past. 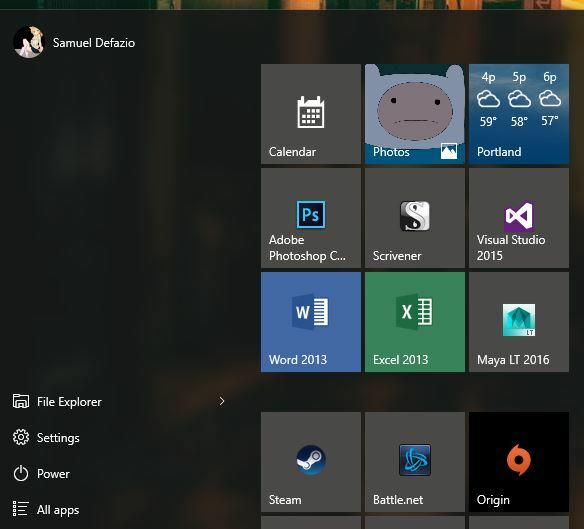 The start menu still features an All Programs list in the form of “All apps,” which sorts the applications installed on the machine numerically first, then alphabetically afterward. File Explorer is the closest thing to My Computer or Computer in previous Windows versions. Settings is not the same as Control Panel and leads to a more streamlined group of computer settings. 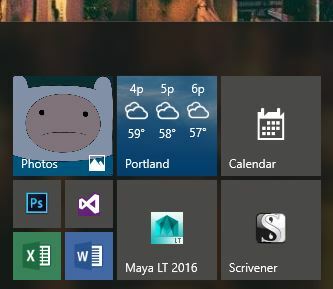 The Windows 10 control panel must be accessed by using the search feature, or by pinning a shortcut to it. The default start menu is a little rough and cluttered on a fresh installation or upgrade from previous Windows installations. Tiles can be added or removed, and it creates a personal touch to the shortcuts you want available each time you open the start menu, but that personalization can be taken further. 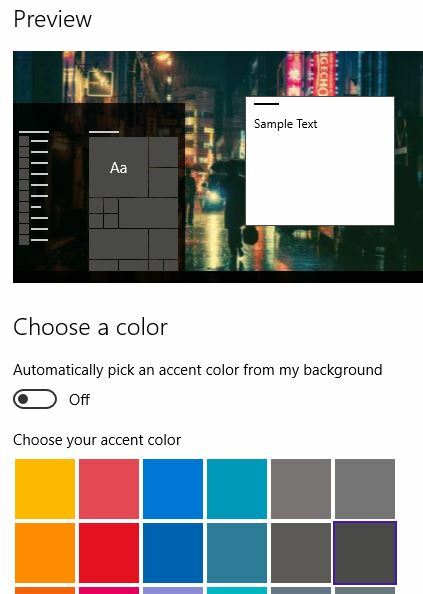 Start menu colors can be chosen Settings, under Colors. 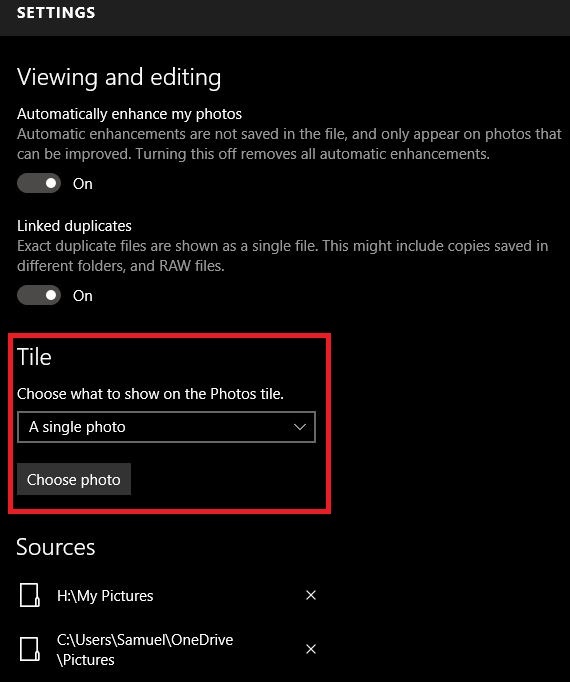 The picture for the Photos tile can be chosen from within the Photos app settings. Beyond that, the start menu itself can be manipulated to be taller, or wider, by clicking on the edges of the start menu and dragging it as far out as you would like it to go. This can lead to interesting, and useful, combinations. 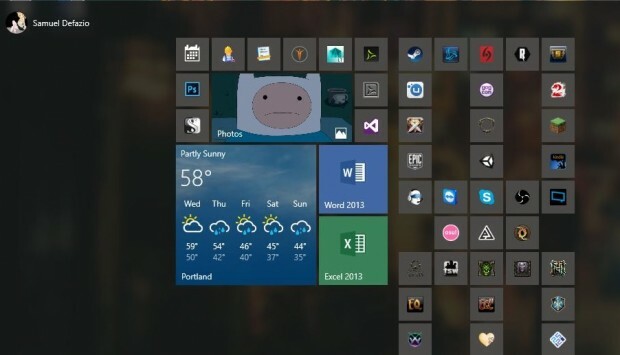 One good feature that carried over from Windows 8 is the resizing of shortcut tiles that you have chosen. Many of these can only change between small and medium, leaving you with either the default size icons with descriptive names, or tiny icons with no names. For frequently used apps, this will save you a great deal of start menu space. Other shortcut tiles, like weather and photos, have more resizing options and the arrangements you can create with them have very unique results. Finally, something to note about the new start menu is that the search function has some improvements, and while not perfect, offers faster searching and seemingly enhanced accuracy. 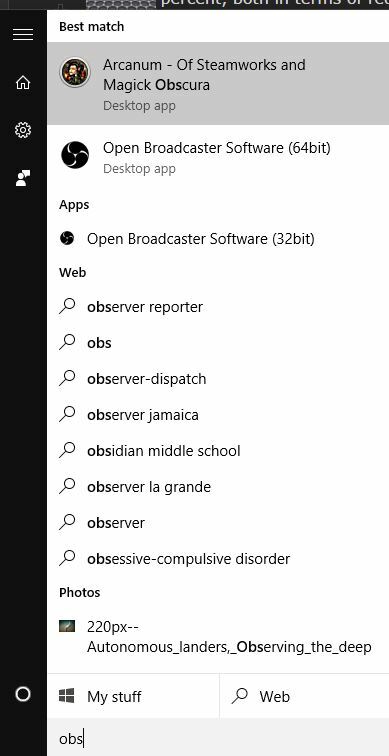 Just by typing in “obs,” after opening the start menu, Windows immediately finds Open Broadcaster. With these options for customization, you can personalize the start menu to create the perfect setup for work or play on Windows 10.